After a loss, no matter the size, it is important to know where to turn for help. Your first contact will most likely be your insurance agent. Your agent will likely put you in contact with an insurance adjuster. The next step will be finding someone who can take care of any emergency services and work with you to begin the process of restoring your property. An insurance claim can be a difficult and emotional experience, and it is important to find a company who understands and has experience in helping homeowners navigate the process. Slate Creek Contracting Services is trained, staffed, and equipped to handle a claim from start to finish by providing emergency services, performing mitigation, and restoring your property to its pre-loss condition. We offer remediation and restoration services from wind, water, fire, smoke, and mold damage. Once we arrive on property, we will survey the damage and perform any emergency services that may be needed to prevent further damages and to make sure your home is secure. We have specialized training in handling the unique conditions that come with fire, smoke, water, and wind damage. Before any emergency services are started, we will discuss the plan of action with you and secure your approval and permission through a Work Authorization Form. We will report our findings and our course of action to your insurance adjuster. When a determination has been made by your insurance adjuster that a justified claim exists, we will move forward with an estimate for the restoration services. We use industry specific estimating software with standardized pricing for each component of the estimate. Estimates will cover only repairs directly related to the claim and will cover replacement materials based on your individual policy stipulations. Hidden structural defects, code violations, pre-existing conditions, and material upgrades will not be covered and could result in additional charges. These additional services will not be performed nor charges incurred without your knowledge and consent. The estimate will be reviewed by the adjuster, and when it is approved the restoration services may begin. We will keep you regularly updated by sharing our plans and progress updates throughout the process and address any questions or concerns you bring to our attention. Once work is substantially completed, we will perform a walk-through inspection with you to identify and address any remaining items needing attention. When all claim related work is completed to your satisfaction, you will sign a Satisfactory Completion Form and final payment will be made. insurance company payments: Slate Creek Contracting Services can be directly paid by the insurance company or listed as a co-endorsee with you on payment. homeowner payments: We can arrange several payment options for claims to cover deductibles, for any depreciation amounts, and for any additional work performed above the scope of the claim. 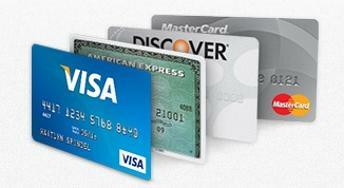 We accept checks and credit card payments. deductible: Your deductible is the amount you will pay towards the total of any insurance claim, and the amount varies based on the type of policy you have. The deductible amount is subtracted from the total claim amount reimbursed by the insurance company and is your financial responsibility. Payment of the deductible amount will be due upon final completion of work. We have several payment options outlined to the left. depreciation: Depreciation is the difference between the actual value of an item and the amount it would cost to repair or replace it (examples: replacing old and worn carpeting or replacing a 10 year old TV). Some insurance policies have depreciation components, and there may be some depreciation costs in your claim that will be your financial responsibility. Payment of any depreciation amount will be due upon final completion of the work. We have several payment options outlined to the left.